U.S. President Donald Trump attends a rally at the El Paso County Coliseum, El Paso, Texas, Feb. 11, 2019. Every day we hear about injustices, oppression and discrimination going on in many different parts of the world. But what is happening with regards to a certain group of people along the U.S.-Mexico border is an atypical occurrence which is petrifying and out of the ordinary, to say the least. On Feb. 1, 2019 the Trump administration declared in a court filing that reuniting thousands of migrant children separated from their parents or guardians "may not be within the realm of the possible." We are talking about nearly 2,737 children of migrants who have been detained at the border since 2017. According to the American Civil Liberties Union (ACLU), there could actually be thousands of more children that the system has somehow lost track of. The practice ended in mid-2018 following a court order but the fact remains that there are thousands of children still unaccounted for. This unscrupulous predicament began in the very early days of President Donald Trump's "zero tolerance" border policy soon after he took office. Following several lawsuits and resentment from the public, child protective agencies and human rights organizations, the White House is now very reluctantly declaring that no one in the administration really knows how many children have simply disappeared due to the bureaucracy and red tape associated with the border issues. Yes, as incredulous as that may sound, the U.S. government has no idea exactly how many children have vanished and where they are. The Office of the Inspector General of Health and Human Services released a report recently that separating the children from their families had an underhanded ulterior motive contrary to what the Trump administration had originally stated, which was that the separation was for the "welfare of the children" due to the complications of the legal obstacles their parents and guardians were facing at the border. The report reveals that the separation was actually intended to punish the families inhumanely for their "crime" of crossing the border. According to the Women's Refugee Commission, the administration intentionally created chaos to devastate the migrant families. This presents a very traumatic and disturbing situation from both sides. On the one hand, there are families who are escaping unlivable and violent situations in their home countries of Mexico, El Salvador Guatemala, Honduras, Nicaragua, et cetera with nothing but the shirts on their backs. Their only dream is to reach the United States safely and start a new life, safety and education for their children, a home, proper medical care and jobs. On the other hand, we have an administration that, in the name of "protecting our borders," is unleashing unspeakable psychological trauma on people who have already been traumatized severely. For the Trump administration to even indulge in such cruel and unusual punishments and then to add insult to injury, nonchalantly claim that finding more than 2,000 children is not "within the realms of the possible" is just unconscionable and unacceptable. 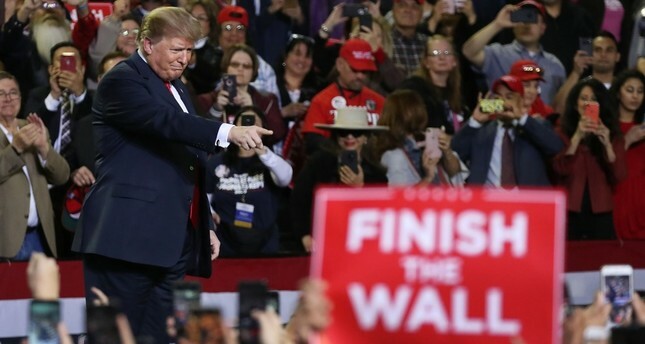 Politically, there is a bipartisan agreement between the Democrats and Republicans that the United States needs stricter and better border security (with the exception of a wall). However, separating families and losing track of children do not in any way fall under any healthy policies of border control. This kind of moral bankruptcy on the part of the Trump administration should never have been an option to resolve border crossing issues. At no time has the administration declared that it will use all and any resources to find every single one of those children and reunite them with their families. That is what should be happening this very minute. What the consequences will be for this administration in light of the separated migrant children will be is uncertain. What is certain is that the real consequences will be felt on a large scale in November 2020 on election day.